Far off the beaten tourist track, Ramla has much to offer visitors: fascinating history, subterranean caverns, magnificent medieval architecture, and the grave of Harry Potter. 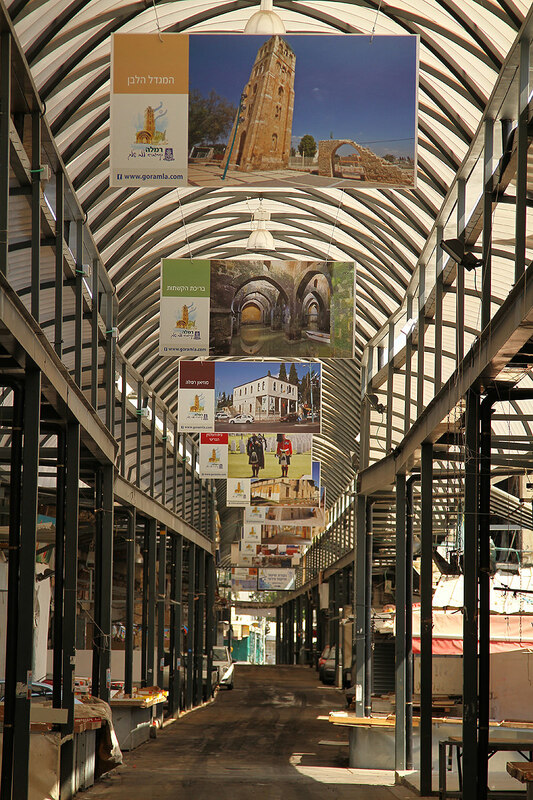 Ramla may be one of Israel's most surprising destinations. The city's grand past has been eclipsed by urban blight in recent years, but glimpses of it still can be seen today in the most unpredictable places. Founded in 716 CE to serve as the new capital of the Ummayid dynasty, Ramla was planned to be a majestic city – and by all accounts was for its first few centuries. It became a center of commerce and trade, of industry and finance, and even of religion. 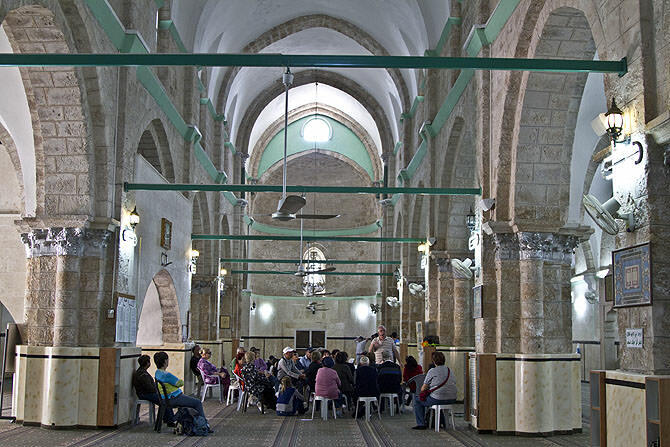 Scholars and Sufi mystics from the entire Islamic world came to study in Ramla and write important commentaries of the Koran, according to Dr. Shimon Gatt, who has conducted extensive research on the city. Moslems associated it with the "high ground" mentioned in the Koran (Sura 23, vs. 50) and the burial place of the prophet Mohammed's friends and family, Gatt writes. Though Ramla was established to be a Moslem city, Christians soon identified it with Rama, home of Samuel the prophet, and Arimathea, home of Joseph who removed Jesus from the cross. The Jews quickly adopted the Christian tradition of identifying it as Rama, even naming a local synagogue after Samuel the prophet. This all came to an end when an earthquake devastated the city in 1068 CE, flattening most of its magnificent buildings and causing the death of thousands of residents. Though the city was rebuilt in 1072, it never regained its previous grandeur, according to Gatt. The rebuilt city was a shadow of its former self and subsequent rulers made their capital elsewhere. Almost all that remains today from the glory days are the huge cisterns built to provide its first residents with drinking water, explains Dr. Yigal Sitry, who directs the Ramla Museum. There was not sufficient water in the area for a large city and so three cisterns were built under the main mosque along with a network of aqueducts that carried water to them from the surrounding area. The original mosque was destroyed and the mosque that stands over the cisterns today was built in the late twelfth century. nown as the White Mosque, it was renowned for its beauty during the Middle Ages. The complex surrounding the mosque also includes a tower, known as both the Square Tower and the White Tower, that still stands today. The ancient cisterns under the mosque are closed to the public because they are in poor shape, but the tower is open and offers an impressive view to those who have the energy to climb it. The Ramla municipality is working on a plan to upgrade the city's tourism infrastructure, which would include reinforcing the entire compound and reopening the cisterns to the public, municipal spokesperson Roni Barzilay says. Meanwhile, Ramla has plenty to offer those seeking ancient waterworks. 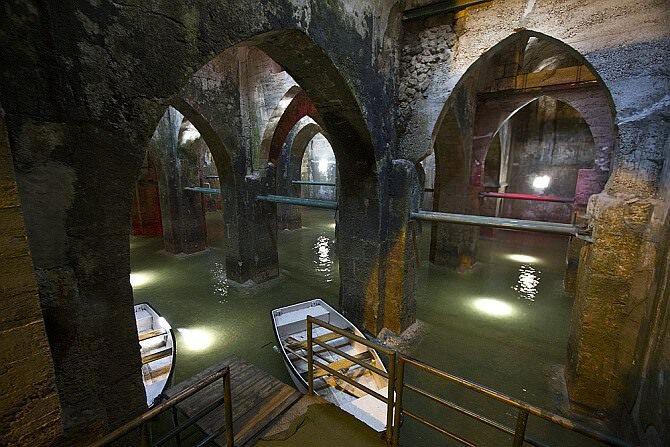 The Pool of the Arches was constructed to serve as a reservoir in 789 CE, during the time of the Abbasid dynasty, not long after the cisterns were built under the mosque. The huge subterranean pool still is intact and full of water. Visitors can rent a rowboat to explore the 400-square-meter pool thoroughly and marvel at its huge stone arches and pillars, which have attracted more than a few modern filmmakers. The beautiful pool has been an attraction for centuries; in Christian tradition, it is known as Saint Helena's Pool, after the mother of Constantine who was said to have dug it during her fourth-century pilgrimage to identify holy sites. Another fascinating remnant from the city's early years can be seen in the Ramla Museum. 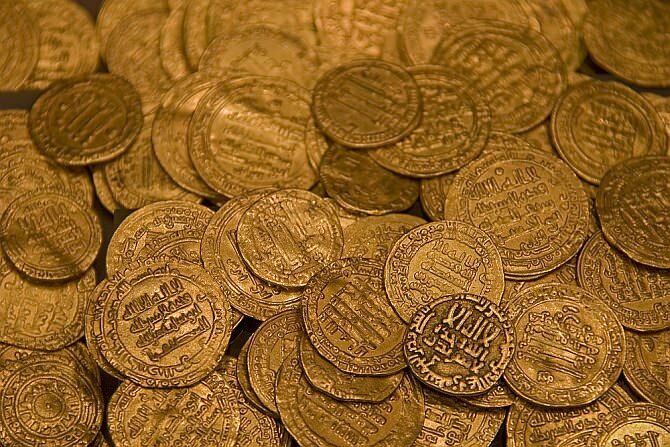 One indication of Ramla's importance is that it was one of the few places in the Land of Israel where coins were minted, according to Gatt, who conjectures that they were minted from the time of its establishment until the earthquake of 1068. The city museum has a section dedicated to coins featuring the different coins minted in Ramla over the years. Initially, coins were made of copper and resembled the Christian coins from that time. As time passed, a unique style was developed and silver and gold coins were minted. The standard weight for the coins was about four grams. The gem of the museum, carefully kept under lock and key, is the buried treasure found in the early 1960s near the White Mosque by someone who was expanding his home. Instead of reporting the discovery of hundreds of ancient gold coins, he pocketed them. When he tried to sell the coins a year later, he quickly aroused suspicion and the Israel Antiquities Authority confiscated the coins. The cache of nearly 400 gold coins, plus six gold ingots, now on display at the museum were minted between 761 to 979 CE. They come from all over the Islamic world, from Algeria to Iran to Armenia. One final curiosity in this display is the pieces of coins that had been cut with a scissors to make payments at a time when small change did not exist and coins were valued by weight. Even though it was built to be a Moslem city – as compared to its Christian neighbor, Lod – Ramla has been multicultural almost from the beginning. The Moslem rulers invited members of other religions to reside in their city and it soon was home to Christians, Jews, Karaites, and Samaritans. The Cairo Geniza contains documents from Ramla's Jewish and Karaite communities. They include a letter from a Jewish wife in Ramla asking that her husband either return or grant her a divorce and a Karaite text explaining how to write a bill of divorce; replicas of both are on display at the museum. Diversity prevails in the city to this day; it hosts numerous religious festivals honoring saints of different religious associated with the city and its population of 71,000 includes some 12,000 Moslem, 5,000 Christians, 2,000 Karaites, and Jews hailing from 54 countries. The Karaite community's main synagogue in Israel and rabbinical council are located in Ramla (and open to visitors by appointment). The Karaites are Israeli citizens who speak Hebrew and serve in the army. Their religious practices are similar but not identical to those of Jews and if they want to convert to Judaism they go through a similar conversion process than converts from other religions. Christians too consider it an important city. Ramla was the first city in the Land of Israel that the Crusaders conquered. Even though it was not a major city, the Crusaders adorned it with a large, ornate cathedral, which Gatt thinks might have been dedicated to Joseph of Arimathea. When the Mamelukes conquered the city a century later, they converted the building into a mosque. They barely changed it and today it is the largest Crusader structure in the country that is still standing. Known as the Great Mosque (Jami al-Umari), it still functions as a mosque today. A selection of Crusader era items also is on display at the Ramla Museum. There are a number of functioning churches in Ramla today, several of which were built towards the end of Ottoman times in the nineteenth century on the remains of much older structures. The oldest is the Greek Orthodox church dedicated to Saint George, which serves much of the city's Christian population. Nearby is the much larger Franciscan church, which is said to be built at the site of the home of Joseph of Arimathea. It was destroyed by an earthquake and rebuilt by the Spanish church in the late nineteenth century. The Spaniards adorned it with sculptures, stained glass, and Titian's famous painting, The Descent from the Cross. In addition, there is an Anglican church from the nineteenth century and an Armenian church, which was just renovated and is not yet open to the public. Ramla also is the site of the largest British military cemetery in Israel. It is the final resting place of soldiers who fell in the area from World War , when the British defeated the Ottoman Empire, until the end of the British Mandate in 1948. The British maintain it meticulously and hold a memorial ceremony there annually. The cemetery is carefully landscaped and all the gravestones are exactly the same height. If a gravestone starts to sink, the caretakers quickly reinforce it. The cemetery became Ramla's hottest tourist attraction, drawing pilgrims and television crews from around the globe, a few years ago when the grave of Harry Potter was discovered in it. Private Harry Potter of the Worcestershire Regiment was killed in action in Hebron in 1939 at the age of 19. His connection to author J. K. Rowling in unclear. That said, the most popular destination in Ramla among Israelis is its market, especially on Wednesdays, when the stalls of the wandering market are set up alongside the stalls that have been in use since Ottoman times. The huge, colorful market in the heart of the Old City is known for the high quality of its fruits, vegetables, fish, and ethnic foods as well as for its reasonable prices and the excellent eateries on the surrounding streets. To learn more about British Mandate times and the State of Israel's early years, check out the Ramla Museum. Its permanent exhibition includes a model of the city's old train station, a section on the conquest of the city in the War of Independence, and a life-sized model of a tent in a transit camp for new immigrants, complete with a genuine uncomfortable bed and household tools like an old-fashioned iron and washboard. There also is a memorial hall dedicated to the residents who fell while serving in the IDF. Nearby, at Hata'avarah Junction, Nesher operates a museum of vehicles. The spotlight shone on Ramla briefly in the 1970s, when it was the center of Israel's music scene. Its cutting-edge clubs attracted international stars and the local musicians who grew up in these clubs still influence Israeli music greatly. However, all of them moved on to Tel Aviv and other places long ago. The famous Calypso Club now is an events hall and the other clubs have disappeared. The period when Ramla competed with Lod for the notorious title of Israel's drug capital also has come to an end as have violent turf wars between feuding clans. Major Joel Lavi is improving the city on all fronts, from tourism to education to infrastructure. The municipal bonds the city issued a few years ago provided it with the means to invest in doing so while balancing its budget. The result is a city that has become trendy among young couples buying their first homes. As the plans to upgrade its tourism infrastructure are implemented, it is sure to become trendy among tourists as well. 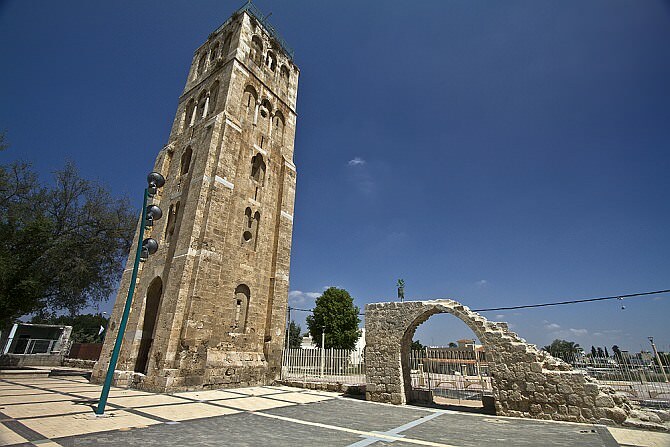 The best place to begin a tour of Ramla is at the Ramla Museum, which provides an overview of the city's history and sites, especially since there is little information available at the sites and there and there may not be an English speaker available at the sites. 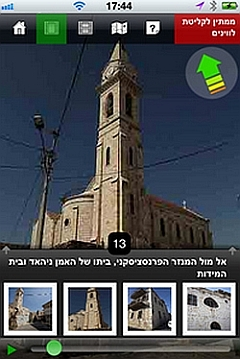 Tours of the museum are available in English, Russian, Spanish, and Hebrew. Appointments are strongly recommended at most sites, especially for groups and for those who would like an English-speaking guide. The museum can arrange tours of the city and workshops for children as well. The Ramla Museum's upper floor houses temporary exhibitions; the current one is dedicated to Rosh Hashana greetings cards. The museum's ground floor has a permanent exhibition which is arranged thematically (and is slated to be upgraded in the coming year). The themes currently include: coins; local industries, such as olive oil and soap; religions; transportation; and leisure time.